•	WAN port support PPPoE, static IP, DHCP client, 3G/4G. Do you need value and flexibility? We’ve got you covered with a high quality, feature rich, low cost solution. The WTI-1500 series router is a fully customizable platform built on an upgradable architecture that is seriously flexible. We provide the same dependability and security of traditional land based ISPs, using state of the art wireless technology. Connectivity is provided through a partnership with Verizon, with the most reliable 4G LTE data networks. 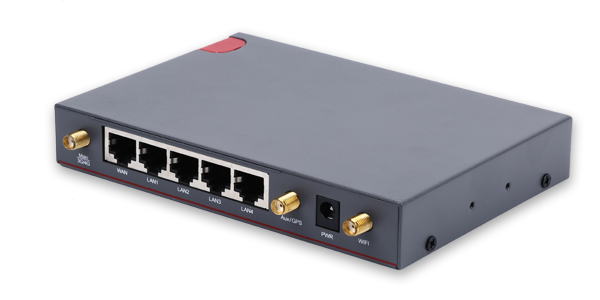 As an added bonus all of our WTI series routers have an option to upgrade to 5g when that becomes available. This equates to significantly lower costs to own and operate your data connection for many years to come. Business continuity is a serious issue. When a primary internet connection goes down, it costs money and may even hurt a business. Which is why, our most popular configuration is a 4G failover solution. This provides pathway diversity by switching the router from a failed broadband connection to a wireless connection. Our device constantly monitors the primary connection and automatically activates the secondary cellular connection to ensure network resilience. This keeps your mission critical systems, like PoS and VoIP telephones, up and running. In addition, when your primary data connection does come back online our 4G LTE failover solution will fallback to the primary, so you only use what you need to prevent a disruption. There are times when maintaining a continuous data connection is paramount for your critical systems. This is why we developed our Constant Contact feature. This feature maintains a continuous data connection even after thousands of other competing devices arrive on the scene. It’s happened to all of us, dropped calls, network failure warnings or not getting that important text or email in a timely manner. This is due to the overwhelming demand on cellular towers during volume special events like trade shows, football games, concerts, or any large gathering. Whether it be for your phone system, point of sale equipment or for a display at your tradeshow booth, when reliability is a necessity Constant Contact provides continuous connectivity. So, even if you need a primary data connection here and a failover device there, we’ve got you covered with flexible solutions configured to meet your specific needs. Could it get any better? Well… yes. You also get a no cost cloud-management portal that makes administration a breeze. Oh, did we mention that our wireless plans start at $5 per month?